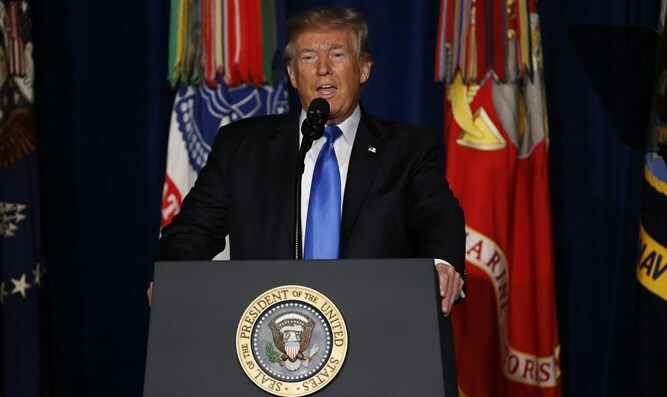 US president says media misrepresenting his condemnation of white supremacists and neo-Nazis after deadly Virginia rally. US President Donald Trump said the media misrepresented his condemnation of white supremacists last week at a campaign rally in Phoenix Tuesday. He started by condemning racism and the violence in Charlottesville, Virginia, the weekend before last when an alleged white supremacist rammed his car into a group of counterprotesters, killing one woman. White supremacists were in Charlottesville to protest the planned removal of a statue of Confederate Gen. Robert E. Lee. “What happened in Charlottesville strikes at the core of America,” he said. Trump quickly transitioned however into an attack on the media — he pointed to the media pen and called reporters “dishonest” and “bad” people — and he pulled out of his pocket transcripts of his remarks at various stages after the deadly attack. Trump has come in for criticism from Democrats and Republicans as well as a broad array of Jewish groups for allegedly placing on the same plane the white supremacists and neo-Nazis and the counterprotesters. He said that the media were to blame for the violence in Charlottesville by having given the white supremacists a platform. He also questioned the patriotism of reporters.